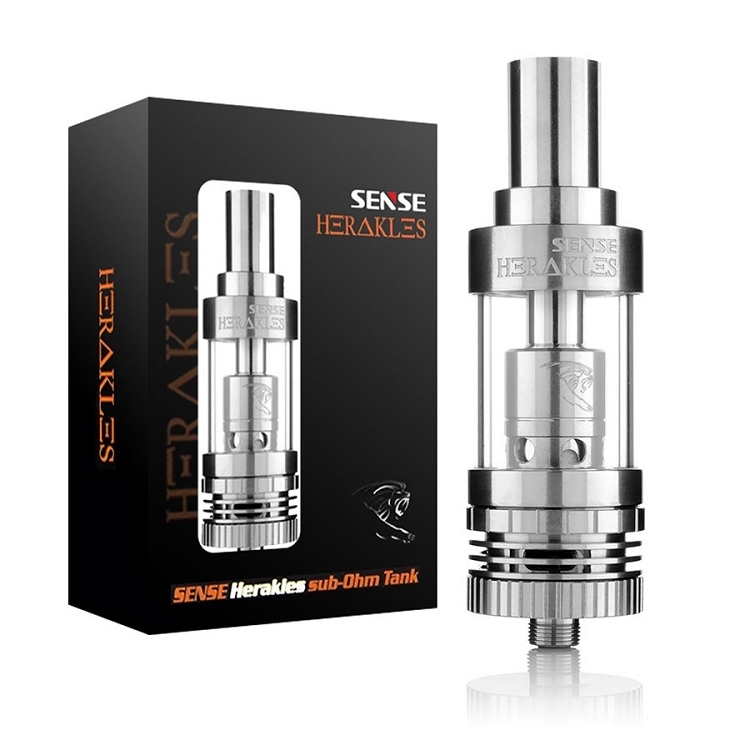 The Herakles Sub-Ohm Tank is a latecomer taking the sub-ohm tank game by storm. This ultra high wattage tank operates best between 50 and 75 watts. This tanks design uses a functional heat sink, four 3mm air holes with air flow control ring, 6 juice inlet holes, and it s .6 and .2 bottom vertical coils feature 5 juice inlet holes designed to effectively wick the thickest of e-liquids with ease. 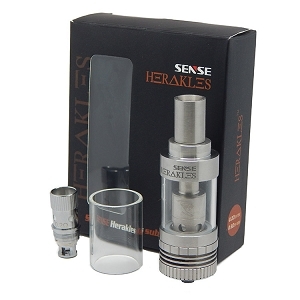 The Herakles Sub-Ohm Tank is quality crafted from Stainless steel and Pyrex glass and has a copper positive contact for improved conductivity. It s 3ml juice capacity allows the Herakles to hold more juice than similar tanks. Completed by a delrin and stainless steel wide bore drip-tip. It s simplicity of use and top performance make The Herakles Sub-Ohm Tank one of the very best available.